Abstract:Thrombosis is treated with antithrombotic drugs such as clopidogrel. Clopidogrel which is widely prescribed after heart attacks is a pro-drug that must be metabolically activated to the form that irreversibly blocks platelet P2Y12 receptors. Abstract: Escherichia coli strains are important causes of diarrhea in human and animals . E. coli isolates associated with enteric diseases have been classified into major Read More..! Abstract: The murine major histocompatibility complex (MHC) class Ib region encodes more than 20 proteins with diverse biological functions, and many have not been characterized. Read More..! Abstract: Inflammasome, activated by pathogen-derived and hostderived danger signals, constitutes a multimolecular signaling complex that serves as a platform for caspase-1 Read More..! Abstract: CD4+ T helper cells play a vital role in the immune system by secreting cytokines, which regulate the immune response. Cytokines are secreted by T cells when an intracellular infection is detected as in case of HIV infection. Abstract: Inflammasome, activated by pathogen-derived and host-derived danger signals, constitutes a multimolecular signaling complex that serves as a platform for Caspase-1 (CASP1) activation and interleukin-1β (IL-1β) maturation. 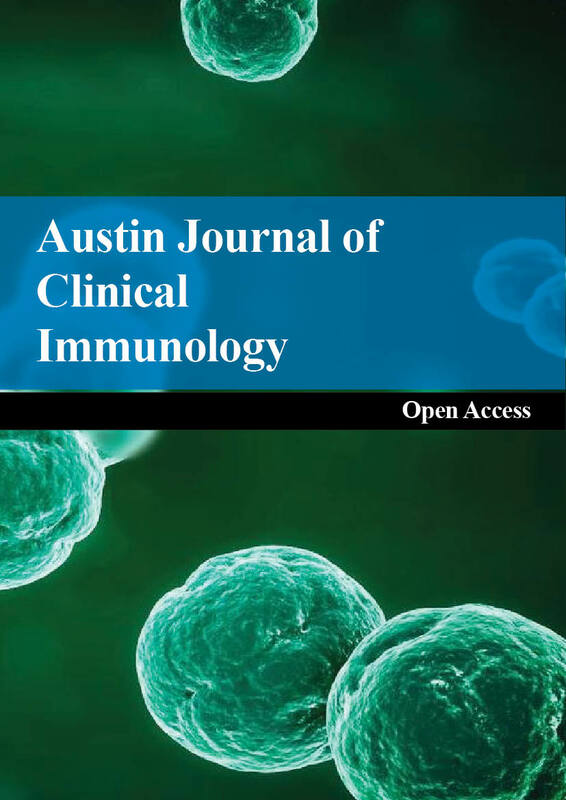 Austin Journal of Clinical Immunology is an open access, peer reviewed, scholarly journal dedicated to publish articles in all areas of immunology, asthma and allergy. The aim of the journal is to develop a knowledge sharing platform and an interactive network for immunologists, researchers, physicians, and other health professionals for exchange of scientific information in the areas of immunology.